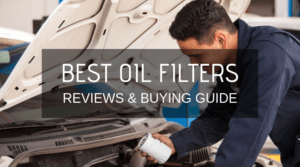 A majority of car owners takes their vehicles to a garage for oil change, or if we try to do it ourselves, we often browse through the menu and use whichever oil the manufacturer recommends. 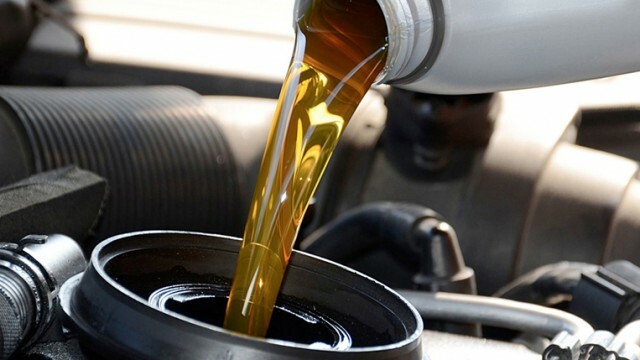 Although there is nothing wrong with either scenario, knowing a little about what goes on with your vehicle and having some information regarding the best motor oils for your car is always a good idea as this information can come in handy. 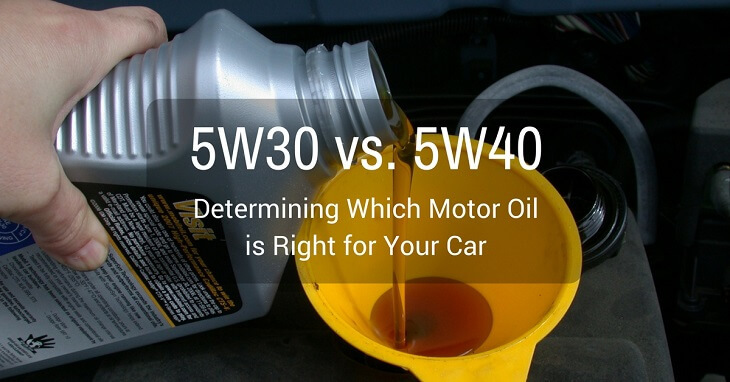 Here, we will be comparing the specifications and properties of engine oils 5w30 and 5w40 so you can have a better idea about which oil to use for your car. The Society of Automotive Engineers (SAE) has established a statistical code for determining motor oils in accordance with their viscosity characteristics, ranging from low to high: 0, 5, 10, 15, 20, 25, 30, 40, 50, and 60. Viscosity is a liquid’s resistance to flow. Liquids which are thin and runny (like water) are assigned a lower viscosity whereas liquids which are thick and consistent (like honey) are assigned a higher viscosity value. The numerical 0, 5, 10, 15 and 25 are post fixed with the alphabet W, which stands for “winter”, or low temperatures, and not “weight”. Remember that engine oil changes in viscosity measurements when put under different temperatures, i.e. depending on the weather outside. When it comes to kinematic viscosity, the numerical values are assigned based on the oil’s ability to flow through an average orifice, at regular temperatures. The longer it takes for the oil to pass through, the higher the SAE code is assigned due to the higher viscosity, which means the 5w40 has a higher viscosity than 5w30. Read more about the difference between ​0w40 vs 5w40. 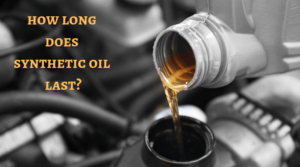 Oil is the lifeblood of any motor, but you cannot get away with using just any motor oil because its thickness plays a great role in its efficiency. 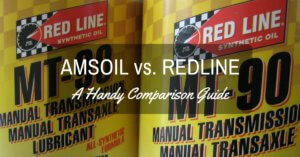 The thickness or viscosity determines how well the oil will flow through the engine. The higher the initial number, the thicker or viscous the oil is. 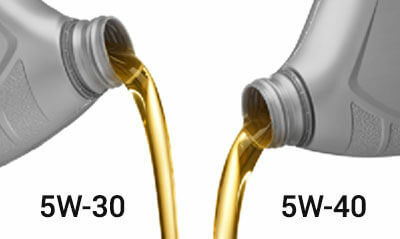 Thus, if you live in colder environments or freezing temperatures, you should use thin grade oil, such as the 5w30. 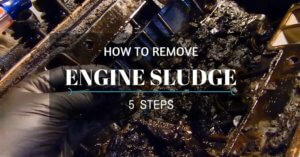 All vehicles have a particular oil viscosities/weight, and you can usually find this information on the top of the crankcase, usually on top of the oil cap. 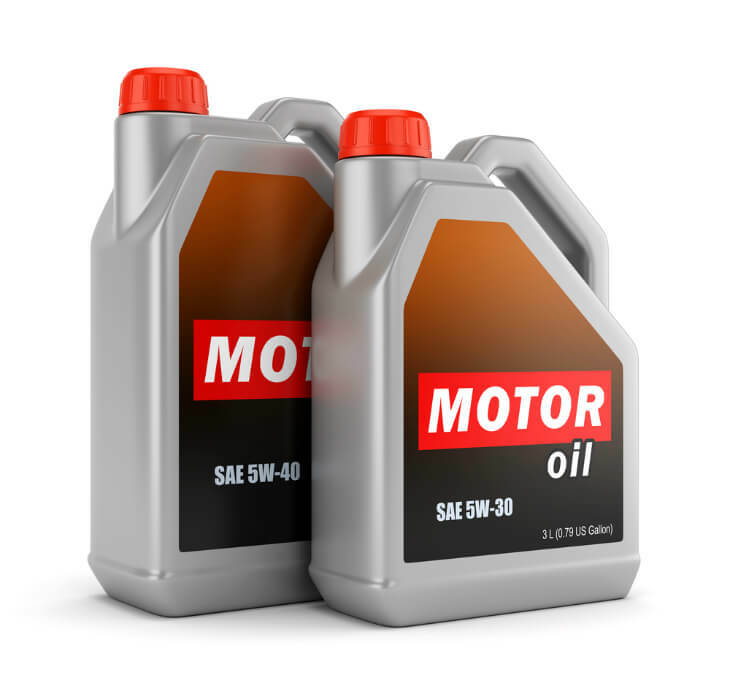 To keep your motor up and running at all times, you should stick to the mechanic’s or manufacturer’s recommendations regarding motor oil. 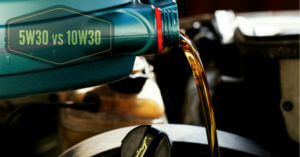 Thinner motor oil flows more smoothly and quickly when the engine is cold, which is why you should not use anything less than 5W-30 in the summer. There is no dearth of motor oils that deliver high performance and withstand extreme temperatures, dirty climates, and aggressive driving. 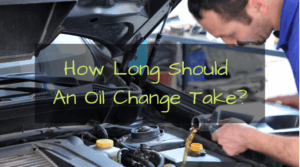 Keep in mind that high quality motor oil lasts longer and you will have to schedule an oil change for later as compared to using any generic brand. It is recommended that you keep 5W motor oil on hand before the first gust of cold strikes. 5W viscosity grade calls for the lubricant to properly flow at lower temperatures as compared to, for instance, oil with 20W viscosity, hence you should use it when the weather is cold. When oil heats up, it gets thinner. Single grade oils become too thin when they come into contact with the heat produced by the car’s engine, and this is where multi grade oil comes in. The idea of this motor oil is simple: use physics and science to stop the base oil from becoming too runny and thin when the engine heats up. The number prior to the alphabet W shows the ‘cold’ viscosity rating of the oil whereas the number after the alphabet W shows the ‘hot’ viscosity rating. 5w30 is one of the two most commonly used types of motor oils for various reasons. First, it works surprisingly well with a broad selection of vehicles with different engine types. Second, the oil also covers a diverse range of possible temperatures, but is ideal for warmer temperatures. 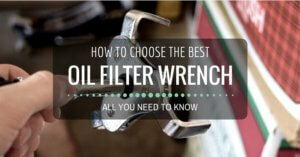 For the most part, the oil works smoothly regardless of the vehicle and the temperature. 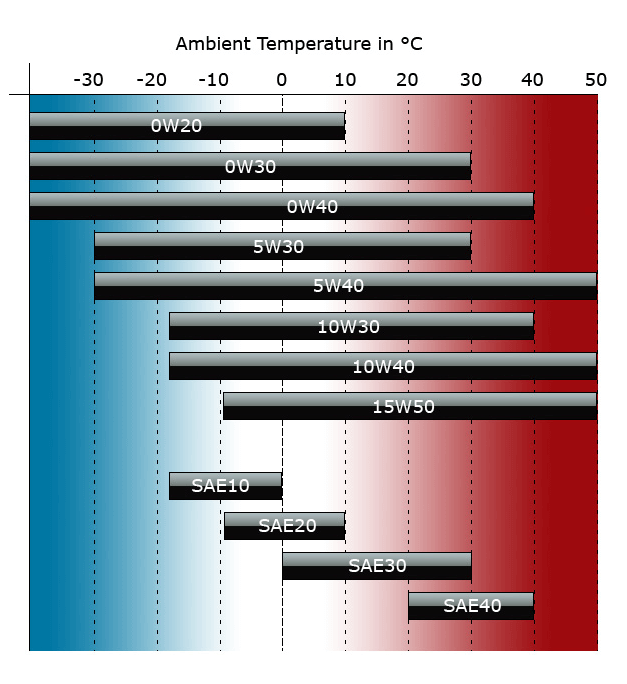 The 5w40 acts like a 5-rated single grade oil when it’s cold, but it does not become thin any more than 40-rated single grade oil when it’s hot. When it comes to choosing between 5w30 and 5w40, many people prefer the former. This is because the 5w30 motor oil has a smooth effect on the oil pump and also a more suitable flow through the engine when hot. However, both these motor oils work great for providing faster lubrication to engine parts when you start the car. So, if we dig in into technicalities, the number ‘5’ in both oils represents the same viscosity when the engine is cold (startup temperature), but in case of 5w30, the ’30’ represents a lower viscosity when the engine is operating at high temperatures as compared 5w40, which has a higher viscosity. If you are racking your brain to choose between 5w30 and 5w40, we recommend you go with 5w30. However, if it is too expensive or not available for use, you can always go with the 5w40, which is just as good and will not cause any damage to the engine parts. I’m in the middle of a terrible mess exactly about your theme and I hope you can help me out. My Fiat 500S (Twin Air 0,9/85hp) runs 5W-40. What will happen if I change to 5W-30 instead? I have a 2015 Smart, gas engine. The manual calls for 0W40, but, I have a hard time locating Mobil 1 oil, is 5w40 ok to use? I own a 2002 Jaguar XJR which is supercharged. I just had the oil changed. I asked for synthetic 0w40 oil. After I got home I noticed they had put 5w30 synthetic in. Is that adequate for the supercharger? If so I wI’ll run it until the next scheduled change. If not I will have it changed now. Thanks for the help. why ? Is that so ..
using a 5w40 would be better cause the temperature in India varies from falling to 0°C like up North and going as high as 45°C in places in the interior like Nagpur etc. Depending on ur location and AVG temperature changes 5w40 would give you an all round all weather protection. and what about mix 50/50% is it possible to mix it? and create 5w35? The second number (30 or 40) are the thickness when the oil is at 212°f, which is the normal temperature of the engine, independent from outside temperature, no matter if it is freezing or boiling outside, the engine is configured to run at around 212°f. At that temperature 20 is too thin and 50 is to viscous, 30 is the right viscosity for an engine running at 212°f. So why there is 40 or 50 or 60 grade oils, well, that comes to play when you are a spirited driver or when you track your car, so the internal temperature of the engine is over the normal 212°f, so you can have 40 or 50 or 60 grade oil, and at race temperature, for example, 300°f or more, you need a 60 grade oil so it does not get too thin. The first number is the viscosity at 0° celcius, so 5 is better than 10 and 0 is better than 5. I use Pennzoil Platinum Euro 5w40 in my e90 BMW (Approved BMW LL-01 Oil) because i sometimes drive a little spirited. just to ask if you still using Platinum Euro 5w40? I use the same on my 2007 328i. my country is very hot, so I think I am protected with this. hi. can any one advice me which is best oil for M16A engine from 5w30 and 5w40 for almost 30 dig centigrade to 50 dig centigrade temperature areas. I live in dubai its very hot here most of the year arrround in summer it can reach 50 degree , may i know whats the best option for this condition 5w30 or 5w40? For your weather, go for a 5w40. As you can see in the chart above, that viscosity is ideal for most vehicles. Hi i have subaru wrx sti type uk 2017 i want to change but oil but don’t know which one to buy 5w30 or 5w40 please help me out to buy the right oil thank you. Hello , i will need some help here, Basicle i have a BMW e39 525d , and i don’t know what oil is better for my engine 5w40 or 5w30 ? Any sugestions , help ? I have a 1993 Mitsubishi Delica. In New York State should I use 5-30, 5-40 or 10-40. Conventional or synthetic? 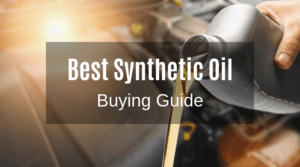 Since you have an older car, the engine is most probably quite worn, and NY summers get quite hot, so an oil that is thicker at hot temps should protect your engine better. As such, 5W-40 would be thicker and more protecting at hot NY summer temps than 5W-30. My husband just got a very high-quality new sports car, and we’re trying to decide what kind of machine oil to get for it. I had no idea that the viscosity could change according to the weather and temperature outside, but we’ll definitely remember that the values given are based on normal temperatures, as you said. It certainly seems that the 5W40 covers a greater temperature range than the rest, and though it’s good to know that oil generally works well regardless of temperature, as you said. I have BMW e92 330i 126k I was debating about slightly thicker oil currently using 5 30, but debating using 5 40. (5,30 BMW recommends but Castrol recommends 5,40. )I suspect both are fine. My logic for slightly thicker was more to to do with age and mileage. as the components are wearing slightly thicker would suit an older higher mileage engine. I’ve settled on sticking to 5,30 as i do regular short commute to work so think as the engine is running lower temperature will suit it better. Hi, I’ve got a 2008 model altis and have a 103+km mileage, need to know what is the best oil that I need to used? appreciate your best recommendation. I have a Suzuki S-Cross with a Fiat-derived 1.6l MJD Diesel engine. The company recommended is 0W30. Since the place where I live, the temp varies between 15degC in winter and almost 40-45degC in summer, is it advisable to go for 5W30 or 5W40?